With years of experience and knowledge in this field, we are occupied in offering premium quality Welding Safety Helmet. - Widely demanded as a safety item for the workers engaged in welding work. With sincerity and hard work of experts, we have carved a niche for ourselves in this domain by trading and supplying Welding Shield Helmet. - Used to protect our face and eyes from the arc rays and heat, and the spatter from molten metal. 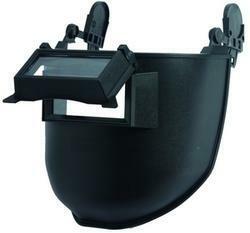 We have gained recognition as an eminent enterprise, devotedly engaged in trading and supplying a broad range of Auto Darkening welding Helmet. Electric arc in any welding process produces brilliant ultra-violet and infrared rays which through invisible, scorch the eyes and skin. The enterprise is engaged in trading and supplying high quality Welding Head Screen. 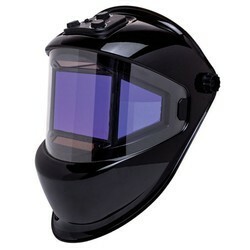 We are a remarkable entity, engaged in manufacturing, trading and supplying high quality Welding Safety Helmet.